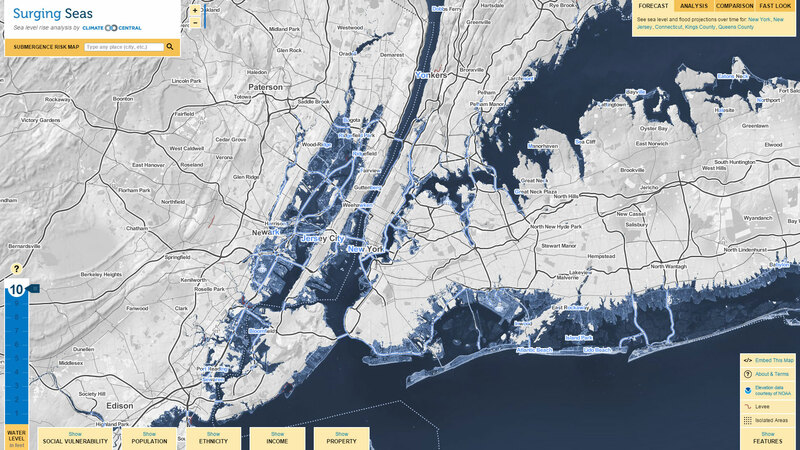 Surging Seas maps the coastal United States with current rising sea level data. 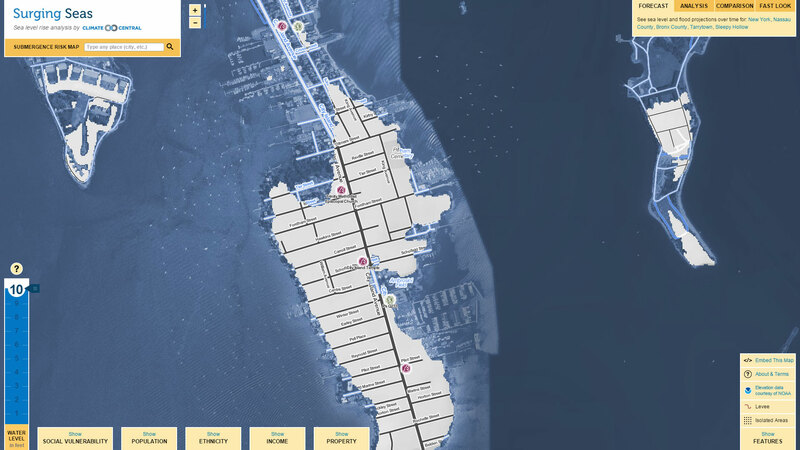 What happens next will terrify you. 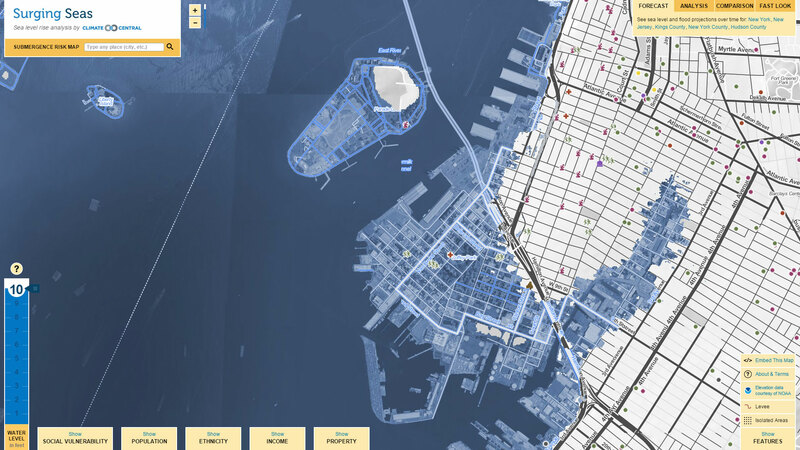 A simple slider shows how 1-to-10 feet in rising sea levels would effect the coastal United States, presented by Surging Seas, a project of Climate Central. 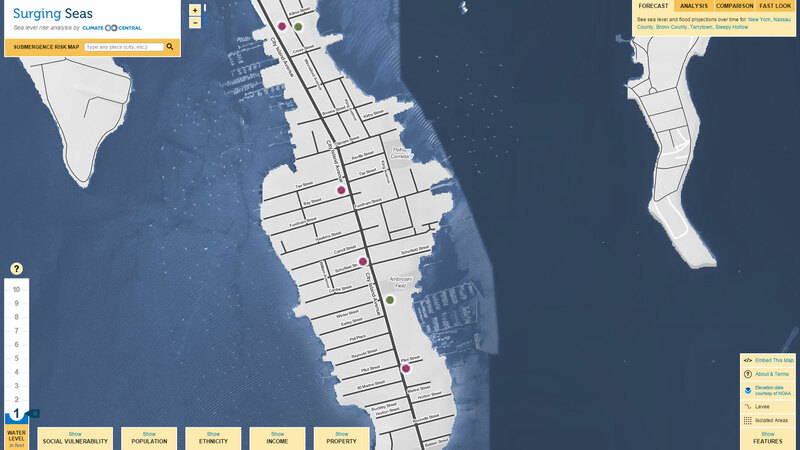 While most NYers live on land – it’s true – the boroughs are made up of more than two dozen islands, and thus NYC is a city of islands. 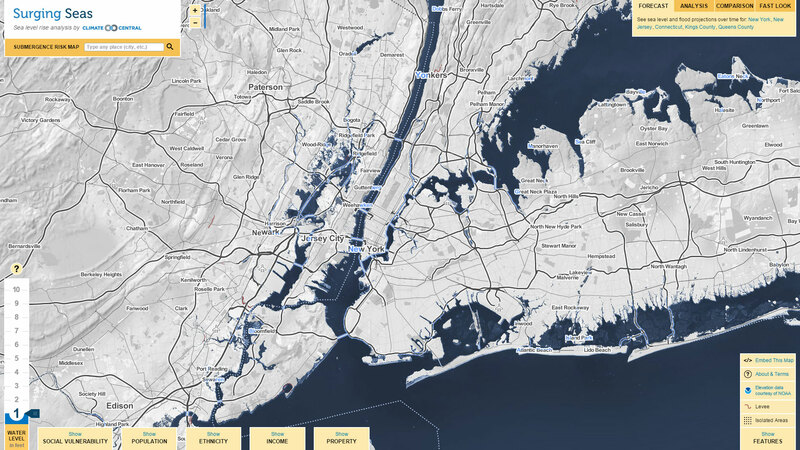 The snapshots below show how the entire NYC coastline would change if sea levels were to rise a mere foot, and how huge swaths of land would be absolutely overtaken and underwater (including entire airports) if sea levels were to raise 10 feet. 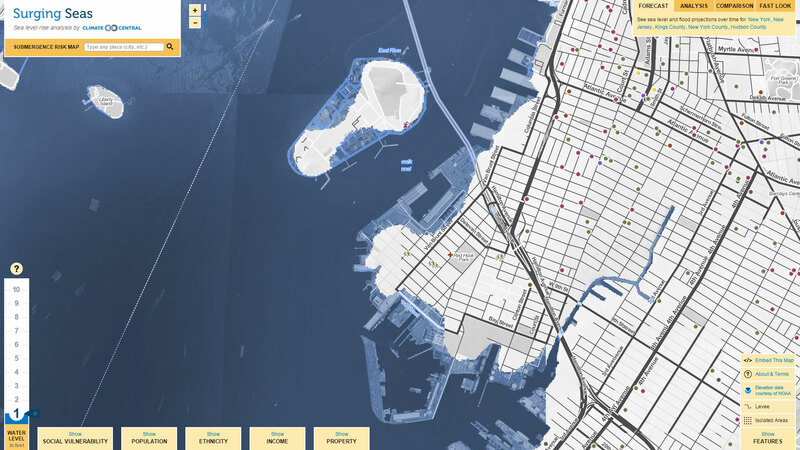 1 ft of rising seas would flood the shorelines of Governors Island and Red Hook, Brooklyn, while 10 ft would turn Red Hook into Brooklyn’s Venice, splurge Gowanus sewage into that namesake neighborhood, and leave Governors Island completely underwater save the hilly land around Fort Jay. 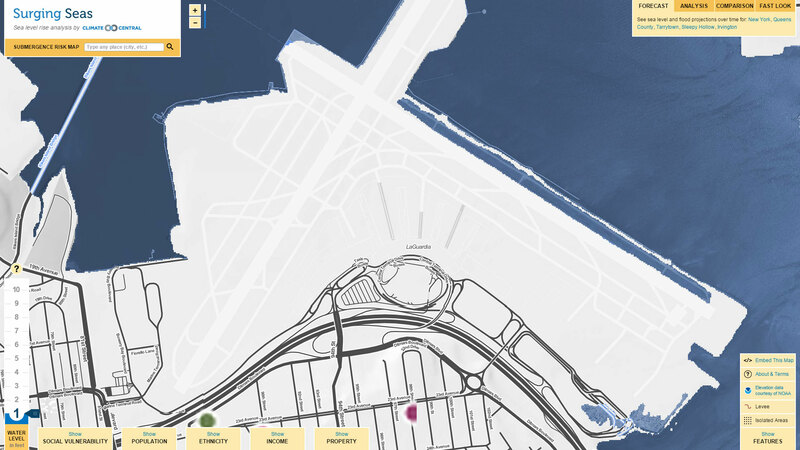 City Island, already segmented from the mainland Bronx, would only be further afar if sea levels rose 10 ft; and the marina would come inland a couple hundred feet. 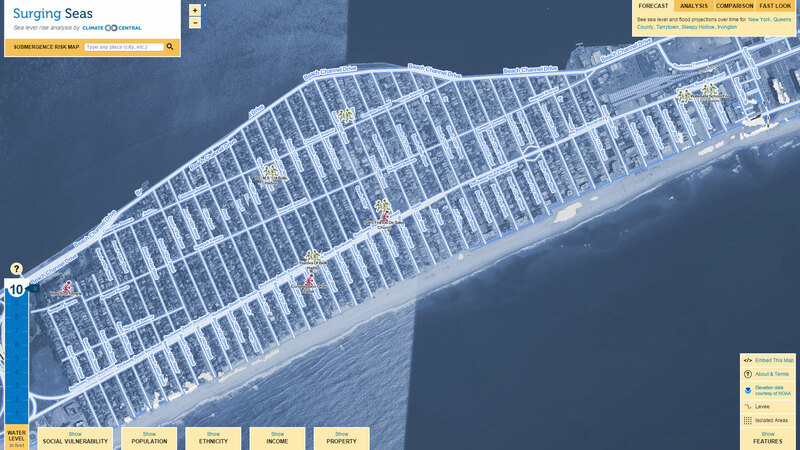 The shoreline of the Rockaways peninsula wouldn’t change that much with 1 ft of sea level rise, thanks to the sand dunes and beach. 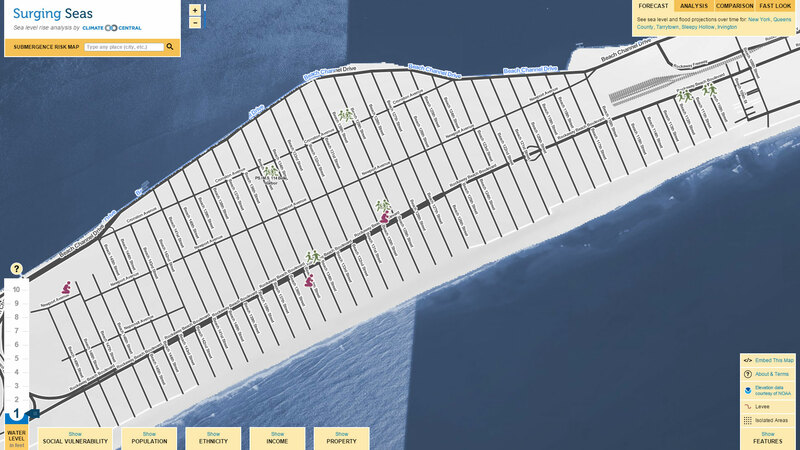 But 10 ft would completely flood the peninsula and allow boats to reach Jamaiaca Bay without having to pass through Coney Island Channel. 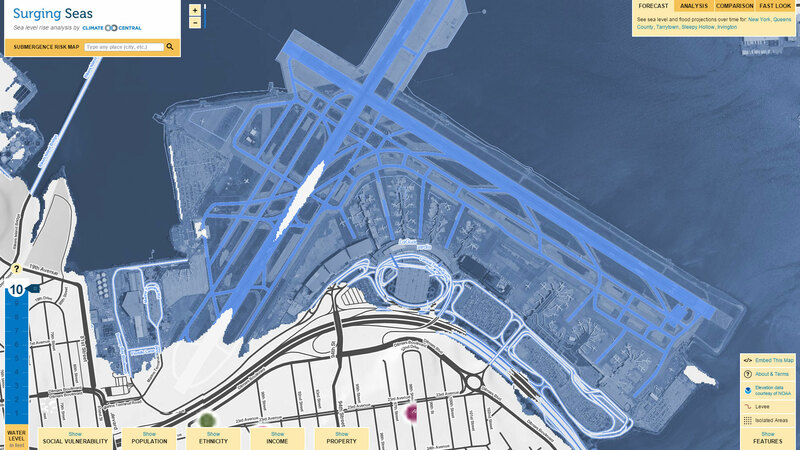 1 ft of rising sea levels already surges onto La Guardia’s north shore, and 10 ft reaches all the way to portions of the Grand Central Parkway; but hey, water planes are always an option! 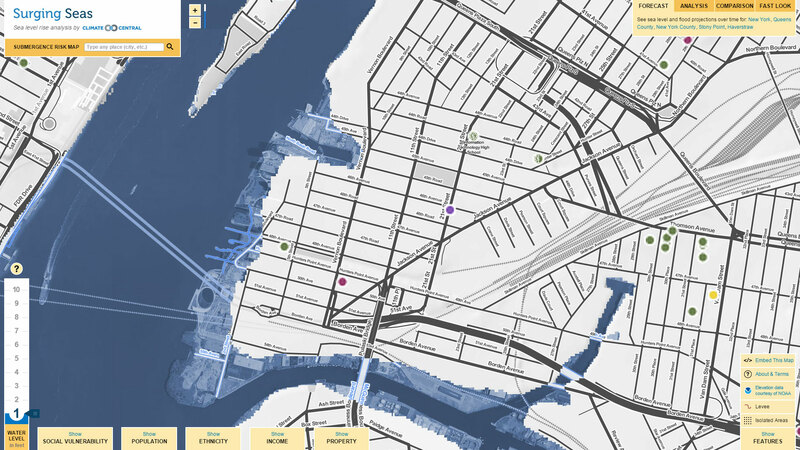 Where I live, in LIC, 1 ft of water creeps up huge portions of the Hunters Point area and nearby Newtown Creek shoreline, while 10 ft even creeps up portions of the Pulaski Bridge (that far inland) and into the Sunnyside Yard. 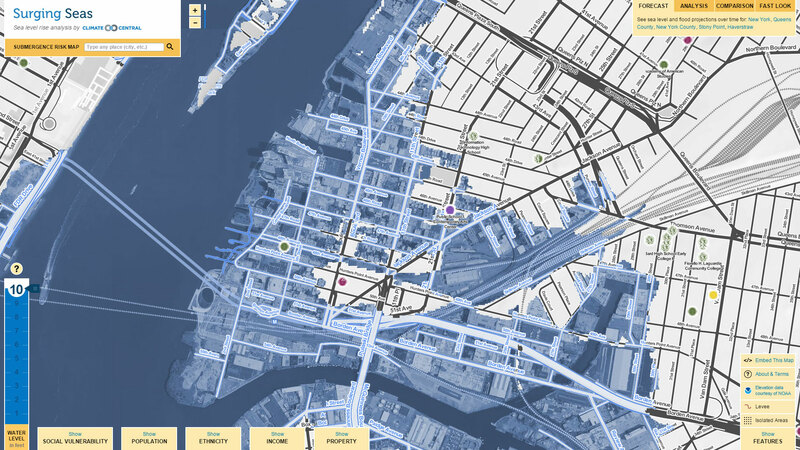 Thankfully I’m on the north side of the Queensboro Bridge, on a hill named Dutch Kills. 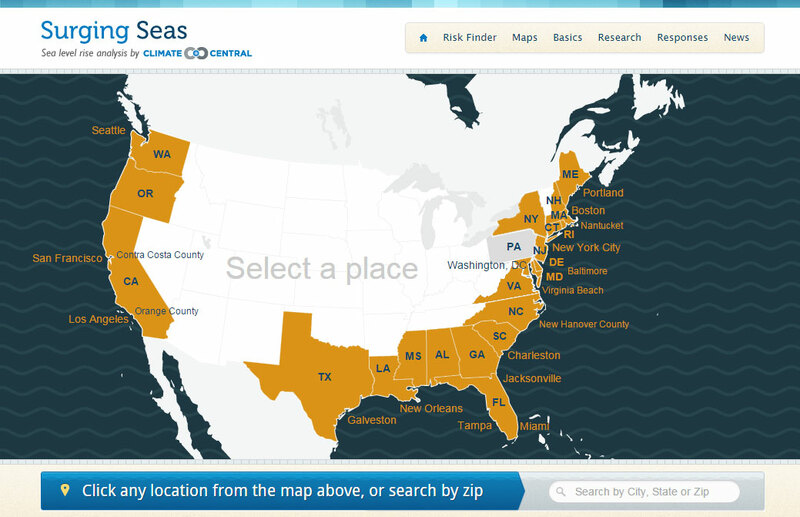 See the slider-map for yourself over at Surging Seas.